Rightly or wrongly, people are incarcerated in North Carolina every day. Thankfully, the bail bonds industry is committed to helping those who need it most. A career as a bail bondsman is a career in compassion. When loved ones are behind bars, it is you who gets them back home as soon as possible and at a price or payment plan that won’t burden them financially. In order to become a bail bondsman, you are required to take two-day classes that are held on weekends throughout the year. You can typically find most of these classes being held in Raleigh, where it isn’t hard to find and file any paperwork or access any resources you may need to get started. While there are some fees required in order for you to achieve your bail bond credentials, you won’t need much else when it comes to your credentials or equipment. 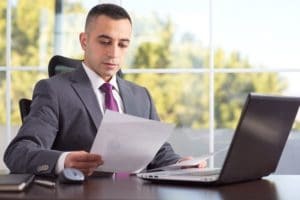 As long as you have a working computer and a place to do your work, you should have no trouble beginning your bail bondsman journey. With the growth of North Carolina, there will be more and more people in need of a bail bondsman’s services. In fact, North Carolina has been said to be the fastest growing state in the United States with a growth rate of 3.3 percent since 2010. This rate more than outpaces the 2.4 percent national average. With this, you can rest assured that your services will be needed for a long time. After you have gotten at least a year of experience under your belt, you can even start your own bail bonds business. Having your own bail bonds business means that you are your own boss. You decide how to run the show, as long as they stay within business guidelines. Don’t feel like working today? You don’t have to! Need to have a flexible schedule in order to manage your busy or hectic lifestyle? No problem. Not only does this make every day on the job more rewarding, but it allows you to live your life stress free. In fact, you can work straight from home if want. However, before you can start your own bail bonds business, you must first become a licensed North Carolina bail bondsman. You cannot be employed as a sheriff, sheriff’s deputy, attorney, judicial attorney, parole officer, probation officer or any other type of public employee or law enforcement officer. Once or if you qualify, you must then take pre-licensing classes, take and pass the certification testing, and then work with a licensed bail bondsman for a least a year before acquiring a license of your own. After you have obtained your professional license, you are then legally able to conduct and begin a bail bond business of your own. Once you have your professional license, you will be required to post a $15,000 security deposit that will be able to cover any bond forfeitures that may end up happening in the future. Additionally, this will give you the ability to hold yourself out as a legally licensed agent or bondsman. Here at Amistad & Associates, we are committed to your success. That is why we provide you with the best resources and information available to ensure you can live your dream of becoming a bail bondsman and of starting your own business right from the comfort of home.